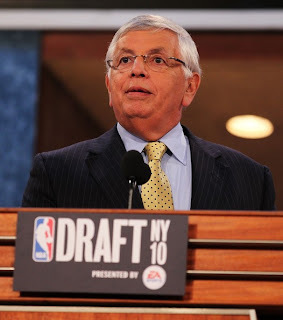 It's hard to think of the institution that is the NBA Draft as much more than an inexact science, but there are always certain picks and decisions that have fan bases around the league recoiling in horror well before they ever know how things will pan out. Of course, each draft class is unique and there's no telling how the players taken in 2011 will mature, but like most things in life, these fears and opinions are based on what's happened in the past and how certain draft day decisions traditionally play out. If you've followed any kind of draft coverage whatsoever, you've already heard that this year's class projects to be one of the weakest in recent history. 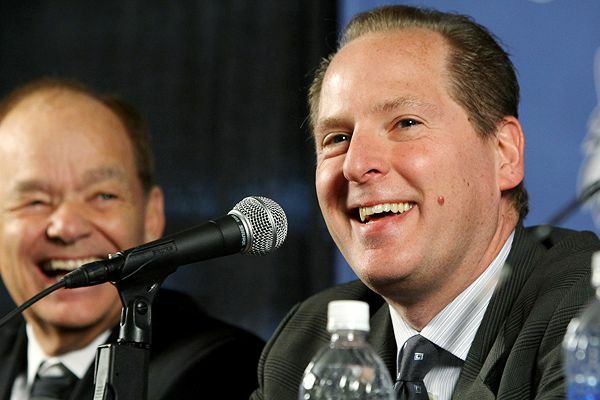 But in spite of the fact that many experts aren't very high on the overall talent in this draft, there will still be plenty of opportunities for GM's and executives to make those age old mistakes that have fans shaking their heads and reaching for whatever kind of cheap grain alcohol they can get their hands on to numb the pain of another draft night gone awry. Keeping that in mind, here's my look at eight things you never want to see your favorite NBA team do on draft night. European players are kind of like that exotic girl you meet on vacation; she's different than most of the other girls you've met in your life but you really don't know how things will work out for more than a few weeks. Similarly, the thought of a 6'11'' player who can help your team from the perimeter is an exciting idea for any GM looking to think outside the box and generate a few favorable mismatches. But the NBA has proven to be fairly difficult for foreign players to get the hang of. I have nothing against European players in theory and as I write this, we're watching Dirk Nowitzki put on quite a show in the NBA Finals. But as we've seen throughout the years, for every player like Dirk Nowitzki, who makes an impact in the NBA, there seems to be ten Nikoloz Tskitishvili's who simply never amount to anything that could ever be confused with a serviceable NBA player. A lot of Europeans enter the draft at a young age and are labeled as "projects" to be developed over a four or five year stretch (a la Darko Milicic) which is a harsh reality for a fan base to come to terms with when there's probably an NBA ready American player still sitting on the board. While some Europeans have arguably played against tougher competition than American players coming out of college (depending on what international league they're playing in), the transition to playing in the NBA is all the more confounded by them having to adjust to life in America as well. The scariest part about most of these players is that they're not nearly as well known as their American counterparts and they have been playing a much different brand of basketball for their entire lives than what they're about to go up against in the NBA. To make matters worse, some of these players are still under contract with their European teams and if they're drafted by a team in the NBA that they don't want to play for, they may have the option of returning to whatever team they played with the year before (a la Ricky Rubio). 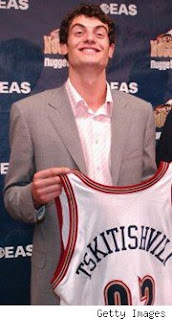 I'm not trying to disparage European players as a whole, because we've definitely seen some great ones make an impact in the NBA, but most fans would rather their teams went with an American player than a guy whose name they can't pronounce and one who could just as easily continue to play in Europe than ever actually suit up for the NBA team that drafted him. This one is always a real source of heartache for die hard fans. Instead of trying to fill a couple of needs on a bad team, some GM thinks he's getting cute by taking a bunch of guys who play the same position with the reasoning that it will "provide better depth" or "make for a very spirited competition." If this same draft strategy were applied in the NFL, it would be a perfectly sane and intelligent way to build your team because of the common occurrence of injury and the need to have at least two or three competent players at a single position. But in the NBA, as we all know, you can only have five players on the court at once, and you really only want one point guard or offensively limited big man in the game at a time (just ask the Warriors how that whole Steph Curry and Monta Ellis thing is working out). 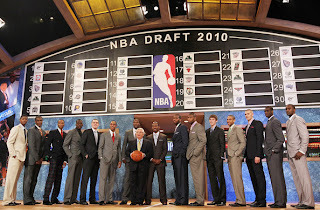 It's been done before, but the most famous instance of this was perpetrated by David Khan in the 2009 NBA Draft. 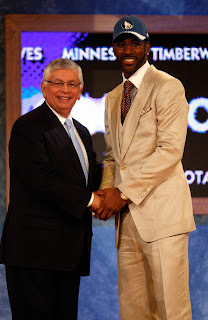 The Minnesota Timberwolves had just subjected their fans to a 24-58 season but everyone had to be excited about the fact that the team had the fifth, sixth, and 18th overall selections in the upcoming draft. Of course, Khan would then proceed to forget the rules of basketball and turn these picks into Ricky Rubio, Jonny Flynn, and Ty Lawson. As we discussed in #1, Rubio has yet to come to Minnesota opting to stay in Spain (can you really blame him?) and Ty Lawson, who appears to be the best player of the point guard trio, was traded away on draft day. There are a lot of ways to mess up a draft, but picking a bunch of guys who play the same position is right at the top of the list. I can't verify for a fact that this ever happens in any war rooms around the NBA, but when you see the names that fly off draft boards later in the night, it sometimes makes you wonder. Don't get me wrong, we're not talking about top flight talent here, but it's absolutely possible to land productive players who can help your team win. At some point late in the second round you really can't blame a team for taking little more than a shot in the dark. At the same time, you'd certainly like to think that more thought went into your favorite team's pick than "Oh yeah, I don't think he'd pull a gun on anyone if a gambling dispute arose on the team charter. Pick him." 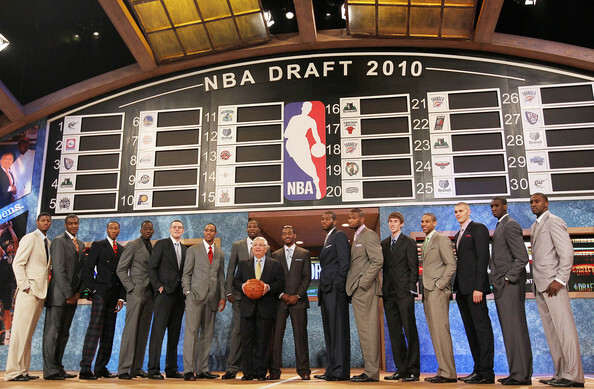 If you're brave enough to actually watch the NBA Draft with the sound on, you will no doubt hear the phrases "length" "vertical" and "you can't teach height" more times than you can count. A players athleticism, height, wingspan, and vertical leap can certainly help them succeed in the NBA, but it seems that some teams get fixated on these measurables to their own detriment. Of course it helps when a player is seven feet tall or can jump out of the gym, but if he has no discernible basketball skill whatsoever, does it really make much sense to draft him over a player who knows how to play the game and can specialize in a specific area? This isn't to say that it's not worth taking a shot at a guy who is a freak of nature and it's definitely a more exciting pick to take a player with tremendous physical gifts, but these players often need a lot of time to develop and their chances of ever truly contributing are generally pretty slim. To be honest, this epidemic of taking players based on combine numbers is more of a problem in the NFL but it certainly happens in the NBA as well and it generally doesn't turn out very well for whichever team was seduced by a 7'1'' wingspan or that 45'' vertical leap on a player who can't tie his shoes. 5. Passing on an experienced player who can help the team immediately for the 19 year old with a "ton of upside"
DeJuan Blair was passed on by plenty of teams looking for "upside"
I could have included this in #4 but the upside pick needs it's own place on this list. There's no doubt that every NBA team needs to shoot for the stars once in a while and take a player with upside who may or may not pan out. But when your team does this year after year only to have very few of these guys actually realize their talent, it can get very frustrating. Not to mention that it can seriously set a franchise back. Players with upside are so heavily coveted in the NBA Draft today that you would think some GM's don't realize that winning in the NBA isn't about who can put together the team with the most potential, it's about who can put together a team which will play the best together. Opting to go with an "upside player" has burned many teams in the past, and although it's nice to see your front office getting aggressive once in a while, sometimes it's better to take that guy who might not have a very high ceiling but is ready to contribute right away. There's definitely a double edged sword that exists when it comes to drafting in the NBA. On one hand, the front office is putting the team at a disadvantage if they're not taking into account the style that their team plays. On the other hand, some players are just too talented to pass on regardless of whether or not they fit into your system. It's a fine line for most front offices to tip toe around, but whether or not they can effectively do so may mean the difference between a great draft and a disaster. 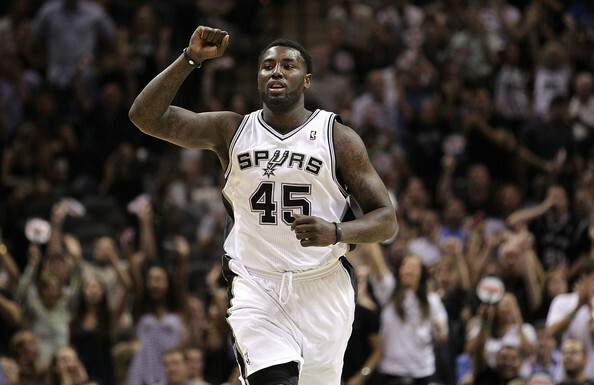 Few things in the NBA are more overlooked than the importance of fit on a given team. Instead of explaining it, here's a great article that does. If you didn't read the article, it essentially says that how well an NBA team fits together and how well the skill sets of the players on the court compliment each other is as important as anything. Sometimes a team seems to forget that because they play uptempo, it might not be such a good idea to draft that plodding center who figures to clog the middle and not be able to get up and down the floor effectively. At the same time, if that center is good enough and worth drafting, it might be wise to take him and work on changing the system to better fit the pieces on a given team. All of which are tough decisions to be sure, but they're the reason why these executives get paid the big bucks. Don't get too comfortable in that Timberwolves hat O.J. The draft day trade can be the best thing that ever happened to your team or it can leave fan bases bitter, confused, and angry. When it comes to draft day trades, things get complicated, multiple players and picks generally change hands, and besides the fact that it's hard to keep up with everything, it can leave fans wondering what the hell is going on. "The Timberwolves have reportedly traded Antoine Walker, Marko Jaric, Greg Buckner and the rights to O.J. Mayo (3rd overall pick) to the Grizzlies for Mike Miller, Brian Cardinal, Jason Collins and the rights to Kevin Love (5th overall pick)"
As a fan of either team you're not really sure what happened but essentially you just traded the third pick and a bunch of scrap metal for the fifth pick and two pairs of athletic socks. This stuff gets so convoluted by the time it's all done, you start wondering if either team knows what they gave up and what they got back, much less if they even valued the player they just drafted if they were so quick to trade him away. "If his body can hold up" is a commonly used phrase with this group of draft picks. There are few things that strike fear in the hearts of NBA fan bases more than their team gambling on an awkward big man early in the draft. It's been said that the human body really wasn't made to reach heights of over seven feet and when you compound this freakish height with the stresses of playing basketball at an incredibly high level, something usually gives. These awkward but talented seven footers don't come along all that often but they're incredibly hard for teams to pass on when they are available. I'm not talking about the true freaks of the freaks, guys like Shaq and Dwight Howard who are proportionate despite being 7'0'', I'm talking about the guys who make it look like it's a chore to simply run up and down the court. 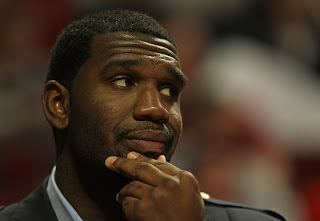 In that respect, we've recently seen players like Greg Oden, Yao Ming, and Andrew Bynum struggle with health concerns that figure to seriously impact the rest of their careers and these struggles have put their respective franchises in difficult situations. Because there's such a premium on productive big men at the NBA level, most teams will draft a player that they think can man the middle for them even if they're not sure whether his knees will be able to hold up. 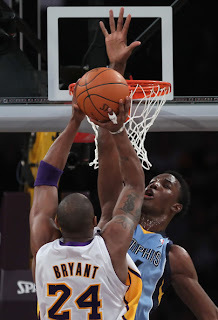 Unfortunately, a high pick spent on a talented but awkward big man usually doesn't end well.